True Power Is ...AN ICE CREAM CONE?! It's time for you to feel cherished and supported in life with a personalized Intuitive Life Coaching and Spiritual Healing Session. 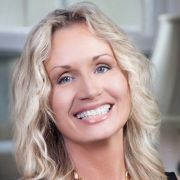 Deidre assists you through accurate wisdom and compassionate session for restorative heart-healing. She is a Certified Parapsychological Specialist (4th Generation), and Ordained Interfaith Minister. Love & Romance; Career, Finance & Life Path; Health & Medical; and Lineage Healing. Personalized Transformational Guided Imagery (TGI) Assessment PLUS Life Coaching. This is a time-honored, proven technique of in-depth treatments utilizing lucid imagery plus intuitive guidance and succor for subtle body support to maximize your functionality in life and love. Based on the signature teachings from Deidre Madsen's Happily Inner After, this beautiful 3-day retreat truly honors the sacred inner marriage of the masculine and feminine archetypes. Retreat can be a one-on-one personal retreat as well as a couples retreat. If you are ready to take the next significant step with your loved one to heal and love the deepest parts of your relationship, then take control of your life together … and watch miracles happen! “Imagination is everything. It is the preview of life’s coming attractions. The most beautiful thing we can experience is the mystical. It is the source of all true art and science. ❦ Thanks for a wonderful session! I am so grateful for your insights as your advice is consistently accurate and I am hopeful for the things we see emerging on all fronts to come together soon! Blessings to you! ★★★★★★★★★★ 10 STARS! - O.L. ... seeking the Holy Grail to love? Copyright © 2019 Deidre Madsen. All rights reserved.